Featuring the highest warmth-to-weight ratio of any jacket in Norrona's line, the Trollveggen Thermal Pro Fleece Jacket offers high levels of insulation with better weather-resistance, breathability, flexibility, and comfort than down alternatives. This highly durable fleece jacket will suit any alpinist, mountaineer, or big wall climber after the most versatile insulation available. 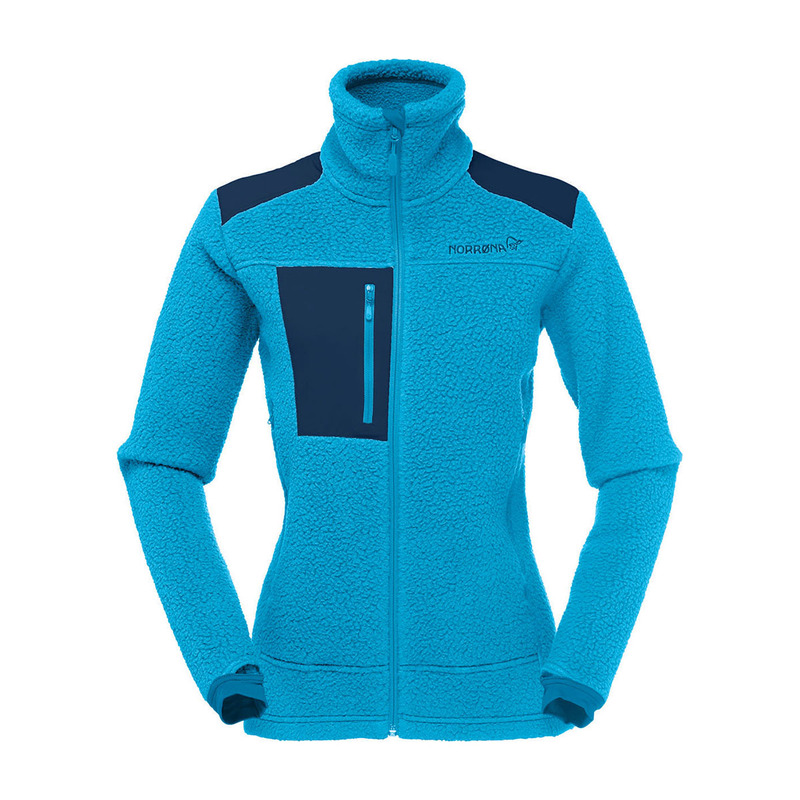 Thermal Pro® comes from Polartec®, the originators of synthetic fleece fabric. This synthetic material delivers a high warmth-to-weight ratio, breathability, and compressibility, but with a textured weather-resistant exterior, a plush inner face to ensure a soft feel against skin, and low fast-drying times not found in traditional fleece fabrics. The result: gear that keeps you drier and warmer for longer. And, it's always made from a minimum of 50% recycled materials.